The terms 'Transformational Teaching' and 'Transformational Learning' are discussed in the academy at times. But is this just academic nonsense or is there some significance to the terms and the practices. What practical advice might the work offer to teachers, parents and those who homeschool? In the simplest possible terms, Transformational Teaching (TT) is teaching that changes learners by creating the right conditions for learning. We change the way we approach tasks, the questions we ask about the tasks, our expectations for what kids will learn, and our expectations. In effect, it helps to change the way learners understand learning, their co-learners, their teachers and themselves. This is the dead opposite of 'Transactional Teaching'. The latter can be recognized by the emphasis on transmission of knowledge from teacher to child. Its major concern is what the learner knows and will learn. Transformational Teaching values knowledge too, but it is characterized much more by inquiry, discovery, firsthand experience, critical thinking and the use of varied communication and thinking skills, than simply knowledge transmission. Here are 6 basic steps that will help to create environments in order to change children from simply trying to acquire, soak up or replicate knowledge to learners who develop their abilities in areas like inquiry, discovery, and critical thinking. 6 Key Steps to using Transformational Teaching. If we want to create classroom that encourage inquiry, experimentation, problem solving and lots of interaction, we need to be VERY well organised. Whether quiet places, or noisy ones, we must have good routines. Transformation learning requires a place, where materials are available, spaces are provided that permit interaction, additional access is given to computers and other key resources. We need to establish some basic rules about sharing space, movement, sharing materials, how class members interact, time frames for task completion and so on. All must be clear and revisited regularly. Classrooms where transformational teaching and learning are practiced, need to be places where ideas are shared and celebrated. Audiences are very important to testing ideas, receiving feedback and learning from one another. They will also be classrooms where standards are high. Near enough is not good enough, there must be accountability in terms of quality, task completion respect for others and so on. This is the key to a vibrant engine room in any classroom. Classrooms where there is honesty, generosity and accurate feedback are places where members will take risks as learners. Ensure that these are present and part of your regular maintenance work as a teacher. What do these classes do? 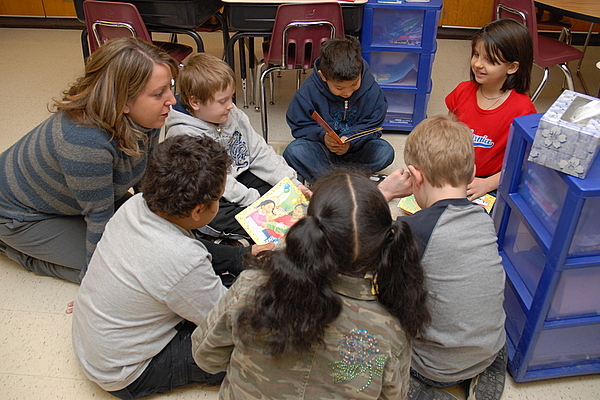 Much greater interaction between students as well as much greater interaction with the teacher. Much more group work. This will vary based on topic, interest and expertise, not simply general ability. The teacher leading from 'behind' as much as from the front. More celebration of work and achievements. Greater learner autonomy within clear boundaries. Regular demonstration, and expert resource people visiting. Increased use of multi-modal responses (shared use of images, words, drama, art etc). Increased risk taking, experimentation, problem solving and creativity. Finally, we will see higher expectations and standards for work and behaviour. I have six grandchildren and as they grow older their interests become clearer. All love learning, but not all have the same learning interests. Even when they were very young, some would love to dig in the compost heap with me, and others, not so much. Some would bring every insect inside to examine it, others were less keen. One still heads for my study (where all the books are), and we have to crow bar her out for meals. Her brother was always more likely to head to the back yard (garden) to dig around, look to the sky for birds and so on. All my grandchildren love books in their own way, but one seems to have her head in a book most of the time. Interestingly, she is also interested in coding, and is very good at mathematics. 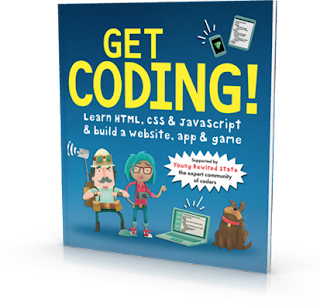 Another grandson already shows signs of talent in coding and computing and has more recently discovered books. All children are different, but I suspect all could code if taught well. What will the girls and boys in our lives become? Hopefully, both will become wonderful people who will have many interests in life. But vocationally, what might they become? Research evidence suggests that statistically, my grandson has more likelihood of ending up in a career where he will use his strengths in STEM, particularly coding, than my granddaughter. This is a problem. "I have always been interested in topics relating to Science, Technology, Engineering and Mathematics (STEM). So, when I started college and was able to learn any subject of my choosing, it was no surprise that I decided to pursue an engineering degree. However, what was surprising was that I seemed to be the only girl to do so, or at least that’s how it felt sitting in a room full of boys throughout many of my classes. Perhaps it should not have been because even though women now represent 47% of the workforce, only 12% engineers are females." Clearly action is necessary to encourage girls and young women to consider careers that build on their knowledge and interest in STEM. One the most critical needs will be to encourage girls with an early interest in science and maths to explore coding. Where can we start to inspire young girls (and boys as well) to explore coding? There are some great resources appearing on the market that will help. I was recently sent a great little book designed for primary or elementary school children - Get Coding (Walker Books) that has been produced by Young Rewired State (see below). 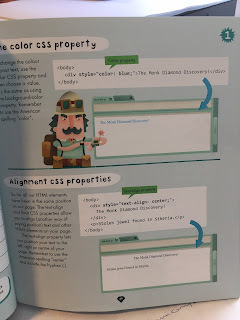 This is a wonderful little book, it made me want to get to a computer, and to start doing some coding. It is well designed and very inviting. 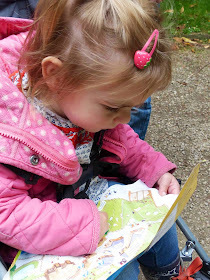 Each page combines text, step by step instructions and projects to undertake. The first 15 pages are text-based with some headings, pictures and diagrams to make sense of the limited amount of the word descriptions. The reading level is about 8-10 years. Once the reader is through this introduction they can begin a series of missions with Professor Harry Bairstone, 'a famous explorer' who is '... in desperate need of [our] help'. Once we are introduced to the mystery of the lost 'Monk Diamond', we are ready to code our way towards completing our mission. Yes, we will need to know what HTML tags are. And we will learn how to use them as we learn to write HTML code, on our way towards completing the mission. Very soon, we are writing the code for a simple web page, with text and images. Eventually we build our own 'Monk Diamond Discovery Web Page'. By Mission 5 our young coders will be making their own game 'The House of Volkov's Security Team' that is responsible for protecting some valuable jewels on display in the The House of Volkov'. This is wonderful stuff, and should be part of every child's primary school education. Young Rewired State was created in 2009 and is a network of 3000 data specialists with a female founder - Emma Mulqueeny. It has 30% female developers with 60% aged 18-25. It has an interesting methodology based on the principle of rapid prototyping, using the MVP concept of working towards a minimum viable product (MVP). It runs events and programs for technically gifted young people aged 18 and under. It draws together young developers, designers, and those with other technical skills to build projects (mainly phone and web applications) that attempt to solve real world problems. 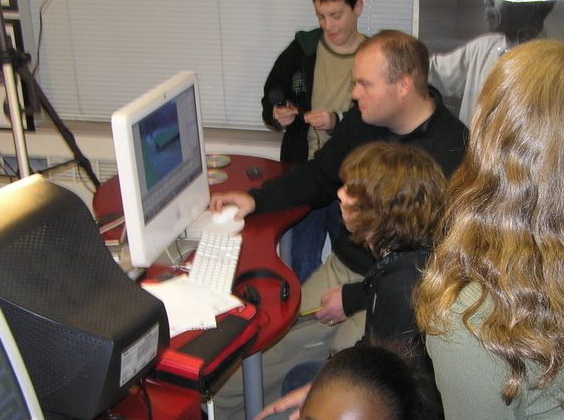 Most of the developers participating in Young Rewired State events have taught themselves or learned coding skills outside the traditional school curriculum. Girls Who Code is a national non-profit organization working to close the gender gap in technology. Its programs inspire, educate, and equip girls with the computing skills to pursue 21st century opportunities. They have been especially effective in impacting skills development for girls in their formative years. At the completion of this academic year, Girls Who Code will have reached 40,000 girls in total, covering all 50 US states during its five-year history. In fact, an impressive 93 percent of their summer program participants said that they now want to major in, or are interested in, computer science because of their participation in the program — this might well mean no longer being the only woman in the classroom! In this post I review eight new novels for readers aged 8 years to Young Adult. They arranged in what for me is reverse order. I start with the books for young adult and teenage readers and work my way towards books for primary aged children. 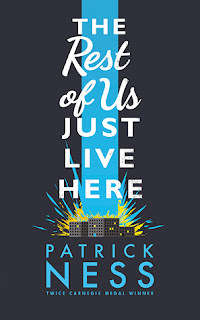 Patrick Ness is an extraordinary writer of adolescent and young adult fiction. The award-winning author of 'A Monster Calls' (reviewed on this blog) and 'More Than This' has given us a new book to savour. It's a book that will probably divide readers, even some of his fans. But teenagers living through the experience of following and living in the shadow of others, will I suspect, relate more deeply to it. Others will compare it to previous books and perhaps be less enthusiastic. For parents and teachers concerned about sexual encounters, relationships are mentioned but not described or dwelt on. Its about real life for teenagers. On Tiney Flynn's seventeenth birthday, every church bell tolled as if heralding a new year, a new era. Tiney stood in the garden, purple jacaranda petals fluttering down around her. One by one, her sisters came outside to join her; first Nette, then Minna and lastly Thea. It was 11 November 1918. Armistice Day. For Tiney and her sisters, everything is about to change, but not in the way they might have imagined. Building peace is complicated; so is growing up. From tragedy to undreamt-of joy, from weddings to seances, from masked balls to riots in the streets, Tiney's world will be transformed. This wonderful piece of historical fiction begins as peace is declared at the end of WWII. It is set in Australia and Europe and written by talented author of eleven books Kirsty Murray. Tiney Flynn has just turned seventeen. What will life be like for Tiney, and all those who are celebrating peace? 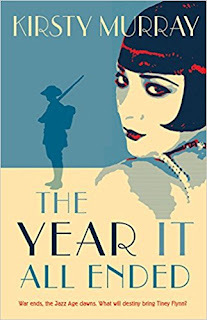 An excellent book that tries to represent something of the complexity of a time when after the joy and celebration of peace the reality dawns for many that some troops return broken, families have lost loved ones, and many are grieving and adjusting to a world that has changed. 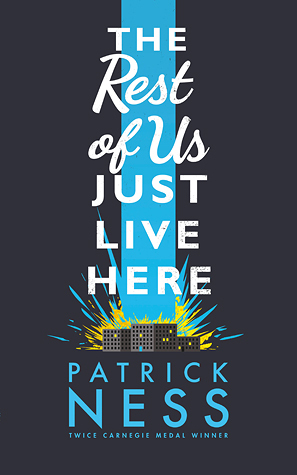 A commendable novel that deals with the impact of war, not just at the front but also at home. Suitable for young adults. 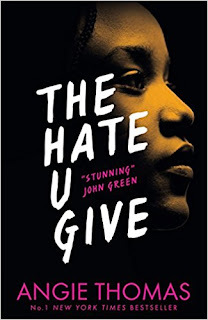 This is a powerful novel for young adults that unpacks the racism that is evident throughout the world, but which has been brutally evident on the streets of America. This book is inspired by the 'Black Lives Matter' movement that has been born due to the death of many people of colour on the troubled streets of US cities. Angie Thomas opens her story through the interactions of a group of teenagers at a party, followed by a drive home and a death due to a broken tail light. But lives are changed when the main character witnesses the killing of her best friend by a police officer. The sixteen year old central character Starr is an inspiration. A great read for young adults. The movie rights have already been sold to Fox, with Amandla Stenberg (The Hunger Games) cast as the star. 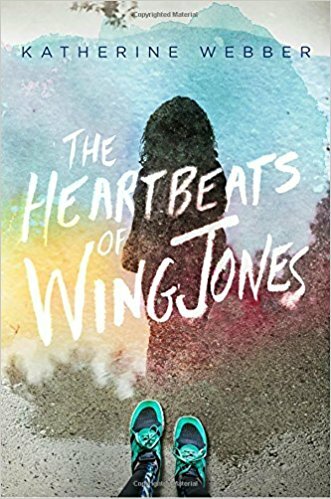 This is an excellent debut novel about a mixed-race family hit by tragedy in 90s Atlanta. This book is also marketed as 'Wing Jones' with another cover in the UK and Australia. This US title and cover seem more appropriate and aligned with the book. “Yong,” my father said one night as I sat on the earthen floor, stroking my pet cricket and determined to save it from being eaten. “You will come with me to Australia.” Yong doesn’t want to leave Guangdong to travel to the goldfields of Ballarat. But as the firstborn son, he has no choice. On the long and treacherous journey, Yong strives to be an honourable son, while he and his father face many hardships and dangers. But in his heart, he knows the shameful truth – that his honour is a lie. Can a journey change lives? Has Yong the courage to face what lies ahead? This is a wonderful book for readers aged 9-12 years. It tells of an historical event in the 1850s that few Australians know about. Hundreds of Chinese immigrants who were bound for the Victorian goldfields found themselves stranded on the coast near Robe on the southern coast of Australia. They are well short of Melbourne and have to walk all the way to Ballarat in Victoria. Yong and his father are part of the group. 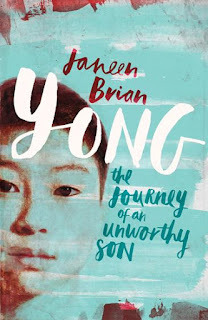 Yong strives to be the type of honourable son expected, but and there are many challenges along the way that test him. This is a story that shines a light on many issues, including racism, prejudice, exploitation of others, and coping with change. It is a gripping tale from award winning South Australian author Janeen Brian. A compelling tale about two sisters. 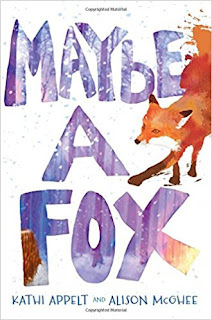 The book has been written by Kathi Appelt (Newbery and National Book Award finalist and Pulitzer Prize nominee) and Alison McGhee (New York Times bestseller). It is written in alternate voices, the two foxes, Jules and Sylvie. It's a heartbreaking and charming tale about the bond between two sisters left alone after the death of their father and mother. This is a beautiful story for readers aged 9-11 years that shouldn't be read without a box of tissues. A heartwarming and funny story about the power of friendship, perfect for fans of Frank Cottrell Boyce, Jacqueline Wilson and Lara Williamson. Victor is a failure at everything – school, girls, making his dad feel better about his mother having left them. When Marie-Jose, the smartest girl in the class and musical prodigy, starts helping him with his maths homework, there must be something she wants in return. 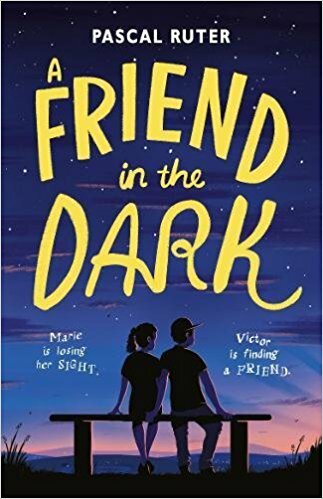 This poignant and very sensitive novel for readers aged 12-15 is above all a story about friendship and how the strength of bonds with others can get you through the worst of things. When Marie begins to lose her sight, the finding of Victor as a true friend helps her to clear many hurdles. A lovely story that boys and girls will enjoy. While superficially, some might see this as a simple story about ghosts, it is much more. The real focus is on a clever and strong female character (yes, she's a ghost but...) who spends most of her time settling disputes and listening to grievances to keep the souls at rest. Boys should enjoy the book as well. The book is ideal for mid-primary readers. The suspense and mystery with its supernatural plot, will capture the interest of varied readers. 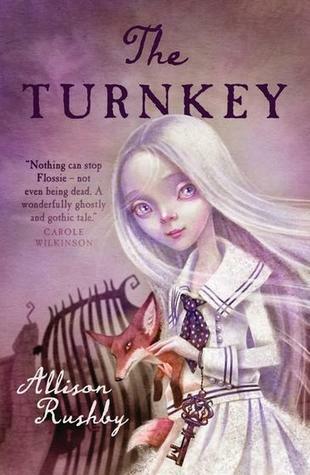 Suitable for readers aged 9-12.